DESTINYbit’s Empires Apart was among the many games on show at the recent PC Gamer Weekender at the Kensington Olympia. Naturally, as one of our penchants here is towards the strategy genre (just look at our tag for the game’s publisher, Slitherine) most of the team gravitated toward the game at some point or another. 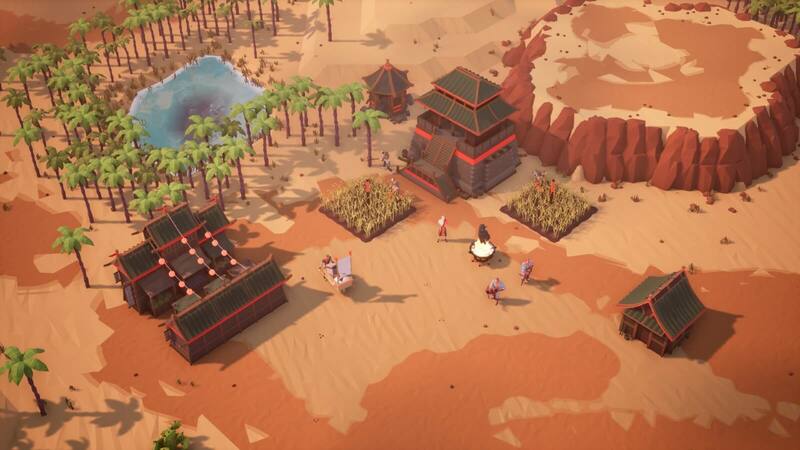 Planned as a reinvention of classic RTS, Empires Apart — as explained to me by the game’s Creative Director, Gian Paolo Vernocchi — also seeks to streamline a lot of the modern fluff associated with the current competitive sweetheart, Starcraft 2. 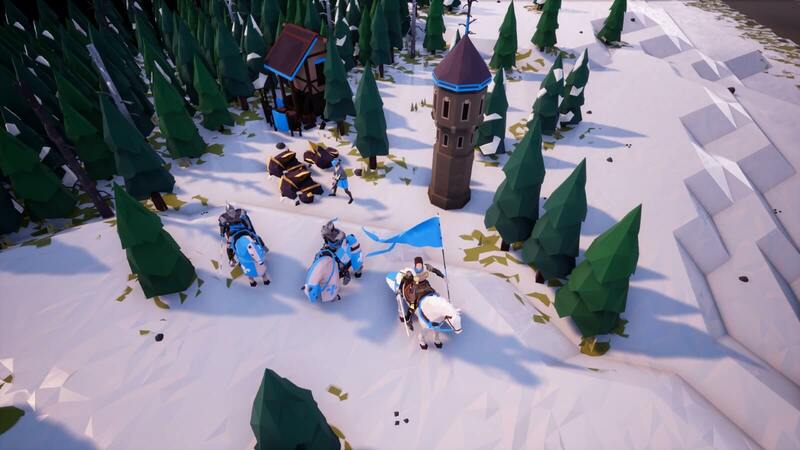 Indeed, while the game certainly has the visual styling of a 3D low-polygon take on the earlier Age of Empires titles, there have been a lot of careful alterations made as to manage the game pace and tighten up the core game loop. For example, in the map generation, while procedural, there is included a system which ensures that resources are distributed evenly around each player. This combined with streamlined unit types, (one shot) hero units, civilisation ‘load-out’ variants and a simplified ‘research’ system, Empires Apart already succeeds on the grounds where 2009’s Halo Wars attempted to breach the genre: 20-minute, high-pace play featuring factions which were varied, and specialised, enough that they allowed for a vastly deeper variety of play in smart, team-based multiplayer. The latter is something which I, personally, don’t feel has been accomplished since 2001’s Red Alert 2: Yuri’s Revenge. 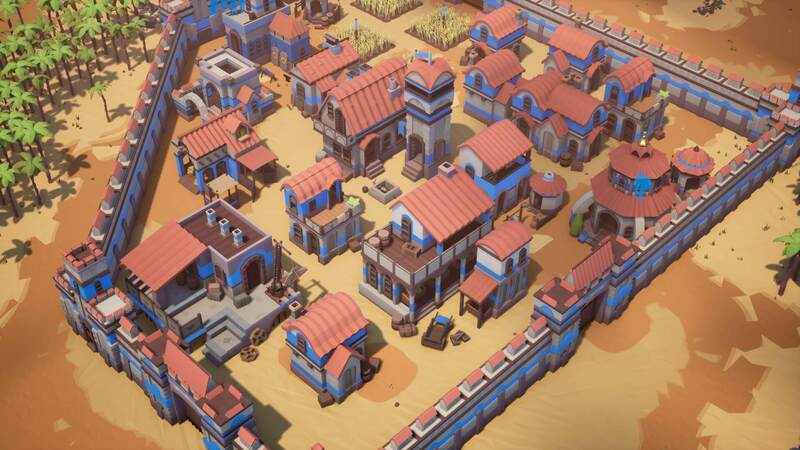 The stylised art means that densely packed settlements seem more reminiscent of a city builder than an RTS. I muddled my way through three 1vs1 duels at the event; initially struggling a little with certain UI elements of the game. My first play saw me completely missing the tech/military upgrade buttons at the top of the screen, however I managed to hold out against an Easy AI enemy who was only aware of a small section of my base, and didn’t enjoy the basic units I had sent as troublemakers as to keep them busy. My consecutive attempts were faster, more efficient efforts. Duels were quickly brought to a close within 30 minutes, primarily by racing to cavalry technology and picking off their confused and squishy villagers before they managed to retreat within the town centre. The French faction’s knight charge is well suited for such sabotage missions. Of the six factions currently included in the game I had the chance to see most of them in action, however sadly didn’t get the chance to play as the Mongolians, who have the benefit of being able to pack up their town centre and move it to another location. While it’s a benefit which will, inevitably, be of great use in the multiplayer — which I’ve not mentioned yet, and can be multi-team and of up to eight players — I’m sure it’ll serve interesting uses in the offline skirmishes against the tougher AI. There are three different terrain types in the launch build, however — much like the factions — there’s intention to expand this depending on the game’s reception at launch. As previously mentioned, other members of the team were also playing the game. While I discussed Empire Apart‘s intriguing survival mode — build in the day, survive waves in the night, all fully co-operative to boot — with Gian Paolo, our own Dan O’Reilly (of occasional podcast fame) fought a gruelling 50 minutes battle against a challenging AI. His battle culminated in a surge of rams which smashed through the enemy walls and rapidly shattered their town center and civilian populace before falling to a heavily concentrated hail of arrows. Meanwhile, in another interesting turn of events, frequent contributor Jupiter Hadley inherited an abandoned game, the player having dashed off to do something elsewhere after building an elaborate base against a mostly neutered enemy. The base did lack defensive structures, no walls or towers to slow down enemies on the approach. As it turns out, the enemies had only caught a couple of small glimpses at the base, so their charges were predictable and blocked by some cleverly stationed troops. A few minutes of building up defences later and the remnants of their offensive capabilities simply slapped limply against the new walls while Jupiter launched a hit-and-run against the remains of the enemy force’s resource chain. Using the four resource split of AoE — Gold, Stone, Wood, and Food — players will have to get creative when playing on smaller maps. Also, this water looks ace. While the latter two experiences are far less likely to happen in the final game due to the faster-paced nature of the game, both served to highlight that a quick shift in tactics is enough to keep the game dynamic; and combining that with each faction’s unique ability (especially the Arab conversion skill, and Mongolian mobile town-centres) it all makes for a very promising looking, and enjoyable, game. 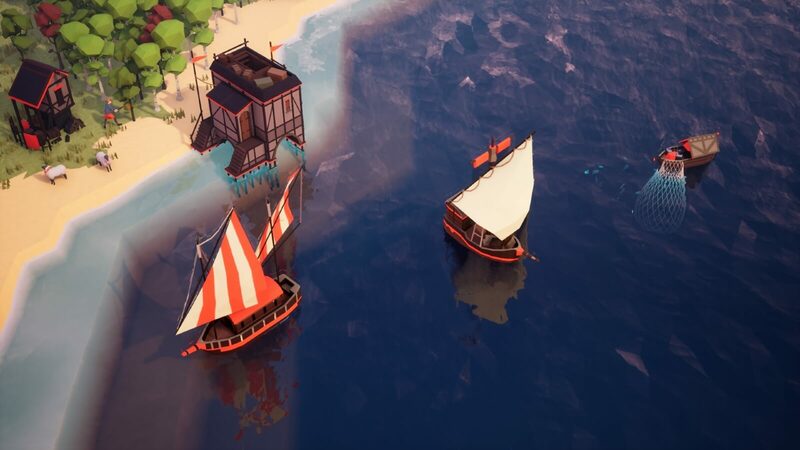 We’ll have a few more pieces up about Empires Apart in the run up to it’s launch on the 29th of March. In the meantime you can find out more on the publisher’s product page, or the game’s Steam page.